After finally getting my Atari ST out of storage and running again, I also got a chance to dig through my games collection and see what was still working amongst all​ the disks that came with it. Though I did get a few compilations over the years, including one with Star Wars arcade games, easily the best value compilation I ever owned for the system was the one that originally came bundled with it. 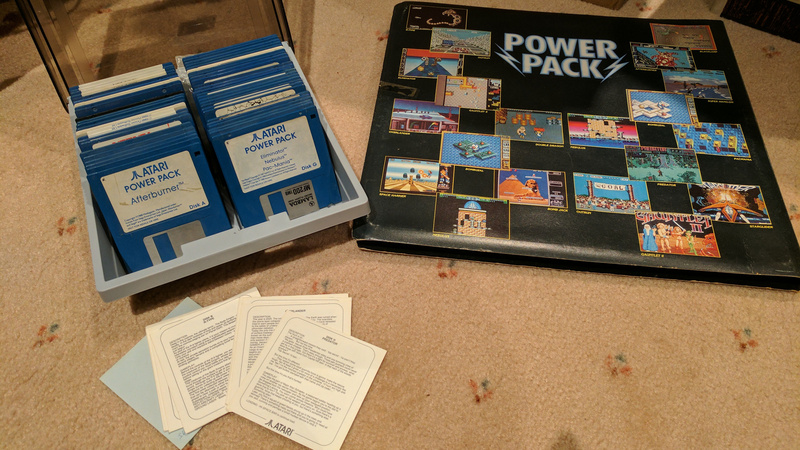 The Power Pack box with discs to the left and the instruction cards below. 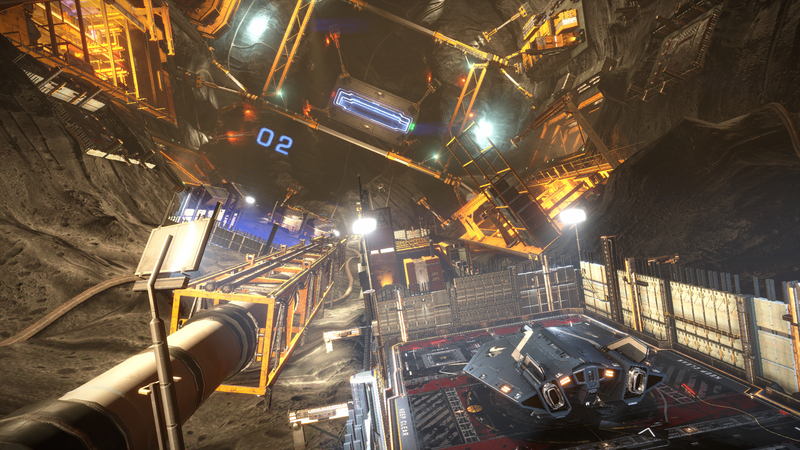 There was such a massive amount of value in the bundle that it could be the only games some users would ever need for the system which was something that caused much annoyance to publishers at the time. There was certainly enough games in there that chances were high that a couple of them would become favourites for owners during the life of the system. Sega’s arcade games of the era were a really big deal so getting conversions of those in the bundle made it quite appealing. Sadly now, Afterburner feels like the one that has aged the worst due to it not playing as smoothly whereas Space Harrier and Super Hang-On still hold up well. The mouse controls in Space Harrier may make the game a little easier but I also found it much more enjoyable as a result. I played a heck of a lot of Space Harrier. Checking out Afterburner when I first got my ST back running again. Original games like Nebulus aka Tower Toppler and Eliminator (both by the same developer, John M. Phillips) showed the system could create arcade like experiences without the need for a popular license. They even ran at a better clip than arcade ports too. Even now I still admire how smooth Eliminator runs. The other arcade conversions in collection were also successful in delivering a good experience for players. I spent an incredible amount of time playing Gauntlet II and Double Dragon which were great co-op games. I wish I was a better R-Type player though because I couldn’t get further than the 4th stage in that game and that was a rare occurrence too. Getting all those games with the ST from the beginning really defined what my expectations were when purchasing other titles for the system because there were always something I could go back to play if the new ones didn’t meet my expectations. With magazines also providing guidance on what’s good I probably became much more careful with spending during that time too. I had this pack too – it was great! Lots of fond memories of this pack…I used to hammer Double Dragon, blew me away at the time. Shout outs for Pac-Mania and Gauntlet 2 as well, superb games. Agree on Super Hang On, it’s actually smoother than the Mega Drive version and the soundtrack is brilliant! I always liked Eliminator and disliked Nebulous (I think it was the first game I ever played) so surprised they were made by the same guy. 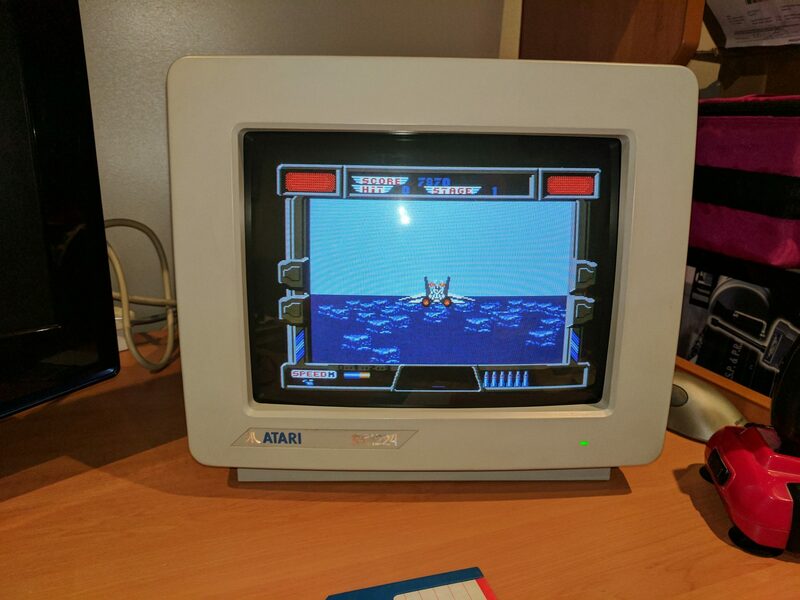 I love R-Type too -vthat music! You’re better than me at it though, I can’t get off the first level! I think I can almost do the first level of R-Type blindfolded but after that… it’s a lot of pain and suffering! Wow, I’m impressed – I can barely get off the first few screens! It’s a tough game…need to give it another play. I can’t think of any bad games in the pack, even the obscure ones are pretty decent. Nice mix of arcade ports and unique games.